Athletic competitions are a Syttende Mai tradition. 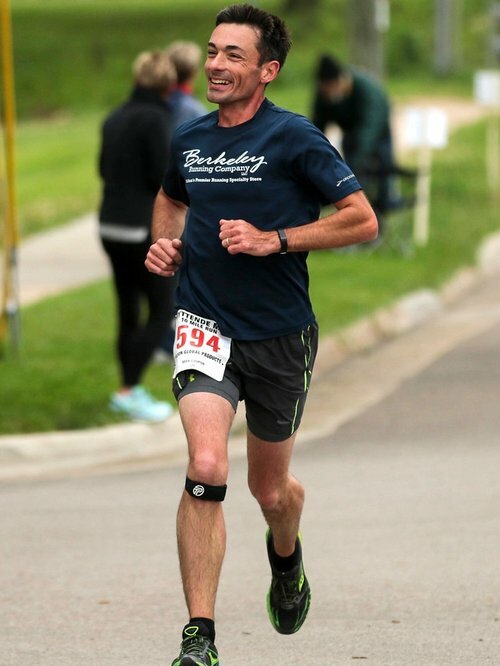 This year’s 20-Mile run is the 47th annual race from the state’s capitol building in Madison to Mandt Park in Stoughton, and it is among the first footraces ever held in Wisconsin. The festival's Viking Games Competition has become a United States Strongman sanctioned event and draws competitors and fans from across the country. There is an athletic event for everyone, whether you run or walk in the 2-Mile Lil’ Run, compete in the Canoe Race down the Yahara River, or cheer on your favorite Viking from the sidelines. Click here to register to volunteer at the 2019 Syttende Mai Classic Run/Walk! Bring out your inner Viking Warrior at Syttende Mai’s United States Strongman sanctioned competition! Divided by weight class, amazing male and female athletes battle to be the best in five unique challenges testing strength, stamina, and heart. Competitors go head-to-head in contests such as the Atlas Stone, Truck Pull or Hand-Over-Haul Pull, Loading Medley, Frame Carry, and Viking Press. This is a regional event sanctioned by United States Strongman, Inc. Viking Games competitors have an opportunity to qualify for U.S.S.C. Nationals. Whether you are a competitor or a spectator, these games will pump you up and bring out your inner Viking Warrior. The event is limited to the first 50 registrants. Beginning at the Capitol Square in Madison and ending at Mandt Park in Stoughton, the Syttende Mai Classic 20-Mile Run is one of Wisconsin's longest running races. The timing chips start with the opening shot, so don't be late! Top finishers in the male and female categories of the 20-Mile Run receive a wood trunk hand-painted in the Norwegian rosemaling style. 1st-place finishers in each category receive a large hand-painted plate. 2nd and 3rd-place finishers in each division receive a small hand-painted rosemaled plate. For up-to-date race information, Like and Follow us on Facebook! The Syttende Mai Classic 17-mile walk begins with a rolling start between 6:00 - 7:00am on Saturday, May 18th. The course travels from Madison to Stoughton, following the same route as the 20-mile Syttende Mai Run, using the last 17 miles. The walk starts behind Summit Credit Union, 2424 Rimrock Road, just south of the Beltline (Hwy 12/18) in Madison and finishes at Mandt Park in Stoughton. The Syttende Mai Classic 10-Mile Run begins at 8:00am. The course travels from Sand Hill Road in the Town of Dunn to Mandt Park in Stoughton, following the same route as the 20-mile run, using the last 10 miles. The timing chips start with the opening shot, so don't be late! Join a Syttende Mai tradition by participating in The Lil’ Run! The route starts at Fox Prairie Elementary School (1601 W. South Street, Stoughton, WI). This 2-mile run/walk is open to all ages. The race is not timed. Strollers and wheelchairs welcome. The Syttende Mai Canoe Race is a 3.5-mile-long race down the Yahara River, with one portage at the Forton Street Bridge in downtown Stoughton. The race begins in the Town of Pleasant Springs, at the end of Yahara Road, and finishes near Mandt Park on Riverside Drive. The race is open to men, women, and children. 1st-place teams in each class receive a miniature canoe paddle, hand-painted by local artisans in the Norwegian rosemaling style. 2nd- and 3rd-place winners receive plaques. Join the race or find a spot along the Yahara River to cheer on your favorite Viking paddlers!